Courtesy Mike Linksvayer (CC0 1.0) . The National Center for Genome Analysis and Support (NCGAS) provides easy access to the computational tools needed for the next phase of scientific discovery. 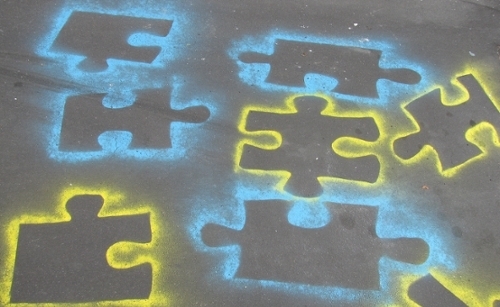 The genome holds the solution to many bio-physical questions. National Center for Genome Analysis Support (NCGAS) gives computational tools to life scientists. Life scientists gain new insights through genomic analysis. Looking to build a body? Simple: All the information you need is right there in the genome. Looking to heal a body? Again, all the information you need is right there in the genome. Of course it’s not that simple, but scientists are getting closer every day. We now know that many of our diseases stem from something broken within the genome. But looking inside the genome takes particular tools and particularly trained experts to handle them. A supercomputer is one of the most important tools scientists require to understand the genome. But many life scientists, outstanding in their fields though they may be, often remain novices when transplanted to a computational environment. 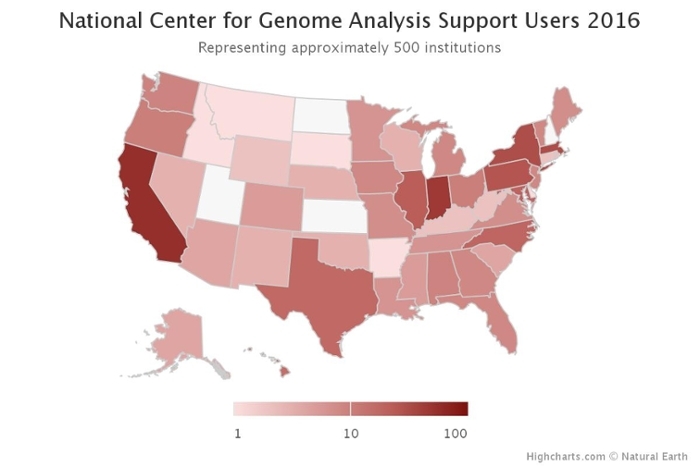 Since so few National Science Foundation (NSF) -funded life scientists were using the national cyberinfrastructure, the NSF helped create liaison centers like the National Center for Genome Analysis Support (NCGAS). 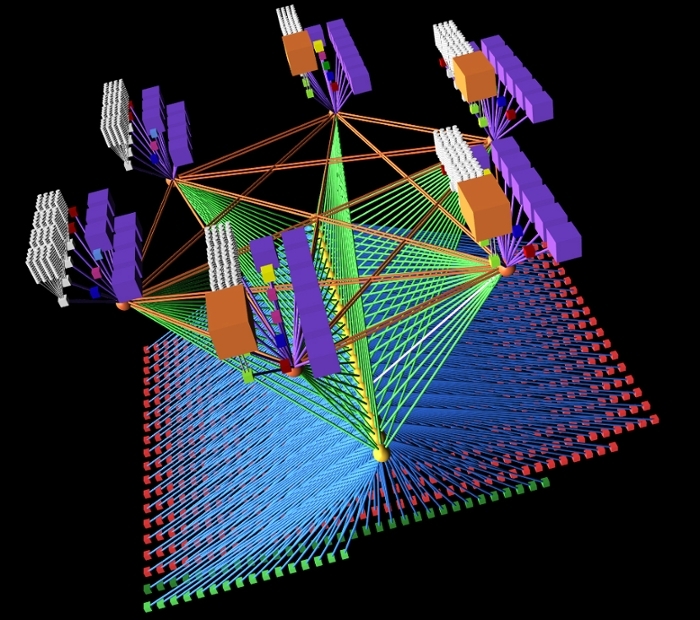 Led by the IU Pervasive Technology Institute, NCGAS is a collaboration with the Texas Advanced Computing Center, the San Diego Supercomputer Center, and the Pittsburgh Supercomputing Center. The NSF has recently extended its investment in NCGAS, asking them to continue helping scientists make use of the vast quantities of genomic information now available. Vast indeed, genomic datasets can easily soar into the multi-terabyte range, which is one reason why researchers look for resources with a lot of computing memory. Computers like Mason, the 500GB-per node cluster NCGAS operates at Indiana University or the 3TB nodes on the Bridges supercomputer at PSC. Genomic analysis is a labor-intensive process, beginning with technicians isolating DNA in labs all across the world. From these labs, the DNA is fragmented and sent on to sequencing centers where it is digitized and uploaded onto a server. Researchers like James Denvir and Swanthana Rekulapally of Marshall University in West Virginia saw their research accelerate with NCGAS assistance. They used Bridges’ 3-terabyte large memory nodes to reassemble the 1 billion DNA bases of the Narcissus flycatcher bird genome in 6.6 hours. This is nearly five times faster than previous systems allowed. NCGAS resources also played a key part in research into the North Atlantic copepod, the major food source for whales, and a pillar of the global food chain. Researchers from Cornell partnered with NCGAS at PSC to help construct the Non-human Primate Reference Transcriptome Resource, an assemblage of genomes from more than 13 different species. NCGAS is proving their value to the community, as the NSF-reinvestment indicates. Their services are in use across the US and beyond, and are free to any NSF-funded researcher.